Transfer the cashews to a plate and keep ready. Now transfer this to a bowl, add the roasted cashews, and complan and mix well. 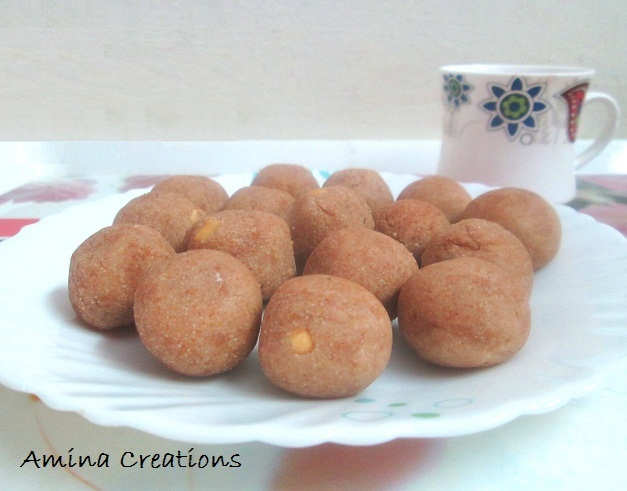 Complan flavoured Semolina ladoos are now ready to be served. You can also check out my earlier post on how to make rava ladoos here.